This is the time of year that many people begin to think about what they want to accomplish in the next year. Lose weight, stop smoking, spend more frugally. As important as these things are, foster parents have an amazing opportunity to influence others and to make a difference into the next generation and beyond. This year, make some resolutions for the new year that will change lives. In the coming year resolve to …. Make a lasting bond with your foster children. Bonding with these kids can be tough. The longer they have been in the system, the harder it will be to bond with them. It may be impossible. However, everyone benefits when you try. Spend time one-on-one, work together on their lifebook, make it a point to compliment them about something each day, never criticize their birth family, write a short note of encouragement to them or draw a simple picture for a young child. Small things add up to a lot for these children. Advocate for them. As a foster parent, you are with them more than any other person in their life right now. Be their voice with their social workers, therapists, school personnel. Write a letter to the judge who oversees their case and give him or her a progress report. Take time for you, your marriage, and your birth/adoptive children. Foster parenting is stressful and often thankless. Taking care of yourself and your family will help to prevent burn-out and, in the long run, help the foster children who come into your home, too. Make time for self-improvement. Take a college class, learn how to do something you have always wanted to do but didn’t, read a novel, join a gym. Children learn by example and your enthusiasm for learning will be contagious. Recruit another family to become foster parents. According to Family to Family of Orange County California, in an article titled, Background: The Current Challenges of Public Child Welfare, they estimate that over 550,000 children are currently in the foster care system; however, at the same time, they say that only 50% of those children will be placed in foster families due to the low number of foster homes available. When you recruit other loving families for these children, you touch countless lives. Every child deserves a family. Mentor a new foster parent. You were there once. You know that foster parenting can be a lonely road to travel. Make an effort to connect with another foster family to mentor and to listen. Be committed as long as it takes. Foster children need somebody who won’t give up. Resolve to be that person for them. 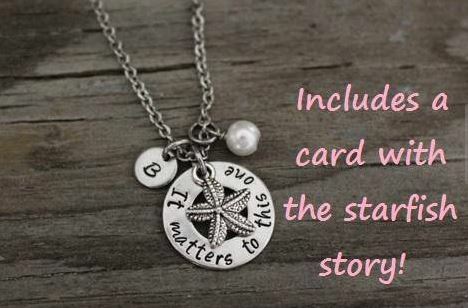 Write a review for any of our companies for chance to win this “It Matters to This One” necklace! Either go to our Facebook page or on google (or both for multiple chances!) and write your review. Email [email protected] to let us know where you posted and you will be entered into a drawing at the end of January. Meet the Bower Family! They have been Foster Parents since June 2017. They currently have three children, all under the age of seven, who were placed in their care just one day after they received their licensing. Like most children in the foster care system, life has not been fair or kind to them. For this, the Bower family has faced several challenges while fostering their foster children, however, their dedication and devotion has helped them overcome and be the foundation and support these children so desperately need in their lives. 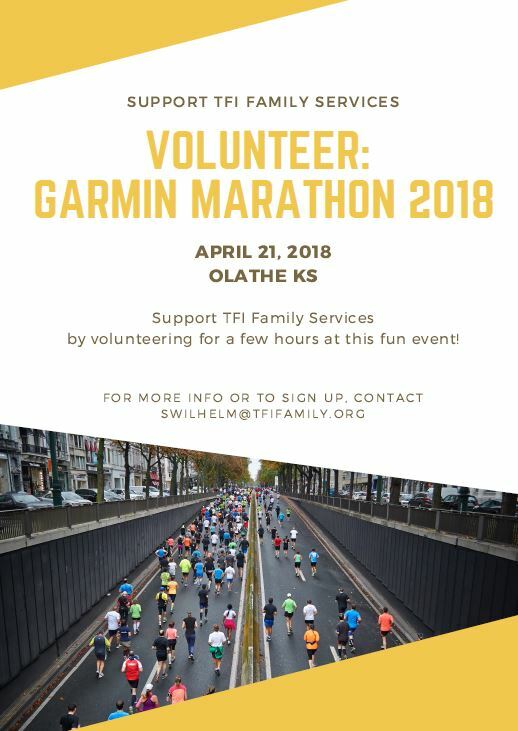 They have shown how successful a foster family can be when they have a strong support system, which is exactly what TFI Family Services offers. If you are reading this, that means that you have survived the Holiday Season! You’ve survived through the extra parties, extra expenses, extra visits, and extra food. You’ve lived through the extra heartache of children not being “home” with their families on the holidays, given extra hugs, and perhaps gained a few extra pounds from eating your favorite pie – but don’t worry, you’re secret is safe with us! There are still more thoughts of extra to come. When will you have the extra time to take down the lights, so they aren’t up ‘til April? Do you have any extra money left over to stockpile some clearance Christmas wrapping paper or decorations? You need to buy your new foster child an extra-large coat on a seemingly extra-small budget. But winter does have one EXTRA advantage – longer nights. Its nature’s way of saying – “Here, take it easy and recoup for a moment”. In fact, on Sunday, December 21st, the shortest day of the year, there will only be 9 hours, 41 minutes and 58 seconds of daylight! Over 14 hours of “night”! So we want to encourage you to do a little self-care. Hop on Netflix or rent a movie to watch with the kiddos. See if there is some feel good story on the Hallmark Channel. Make some hot chocolate, grab a blanket – and read that book that you just can’t seem to get back to. That New Year’s resolution – yeah, let’s not mention that…. Happy New Year everyone, and thank you for all of the EXTRA’s that we know you do, but never see. When a child is placed in a kinship or traditional foster home, a Systems of Care (SOC) referral may be made by the child welfare (CW) specialist to the local SOC site. The referral to SOC is to provide extra supports for children in our care, as well as our valued resource families. The SOC process and its supports are available immediately to your family. Through Wraparound, SOC works to strengthen your family’s ability to care for children with complex needs. 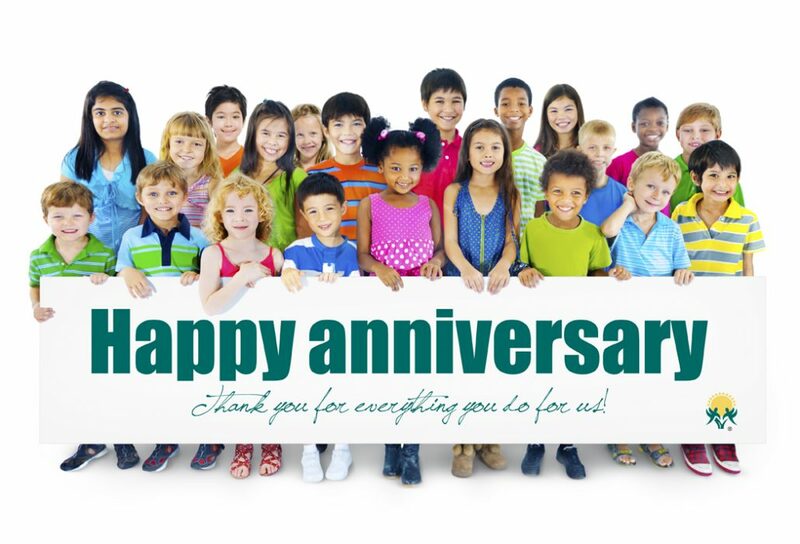 SOC is a community of folks and agencies working together to take care of its own, and is made up of schools, counselors, parents, youth, and civic clubs, among others. This group, known as a Community Team, comes together to coordinate services within the community to meet the needs of families of children with serious emotional or behavioral challenges and complex needs. 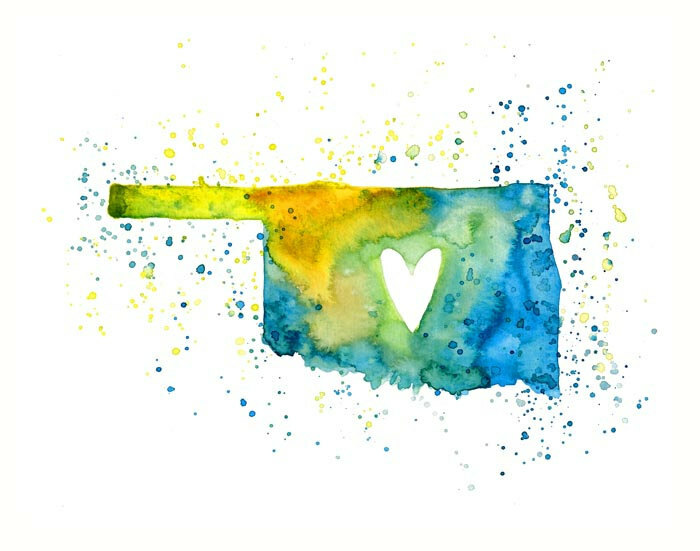 SOC currently has 65 community teams serving 77 counties in Oklahoma. Wraparound is a service through SOC that uses a family-centered team to help the family develop a plan on how to best understand the child’s needs and strengths and problem-solve as a family and community. The Wraparound video helps the resource parent understand the benefits of Wraparound. This video is found in the Learning Management System (LMS) where the resource parent is able to watch the video and earn one hour of training credit. We hope you to take the time to watch the video and become aware of the local supports available to you. If you have any questions, contact your child’s assigned worker or your foster care specialist. This family has had the same placement for approximately 18 months. They added to their placement by taking on the siblings to the current placement, approximately 5 months ago. They have taken these children in as their own. They have endured several trials with behaviors, and have overcome these obstacle’s with patience and love. They continued to reach out to the counselors for assistance with the children’s behaviors when needed. The Mitchells have attended counseling sessions to better their perspective of the children’s behaviors and have bridged beyond the expectations. They support the biological mother even through her struggles. They are currently bridging with the bio family from afar, all the while prepping the children for their new adventure beyond their current life. 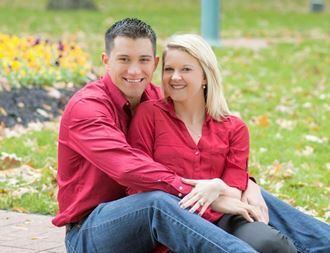 As I sat there in a recent FTM, I witnessed this couple tearfully explain their side of the story and how they have truly come to love the children and only want what’s best for them. They feel as though they will be losing a great part of what they have become, a family! 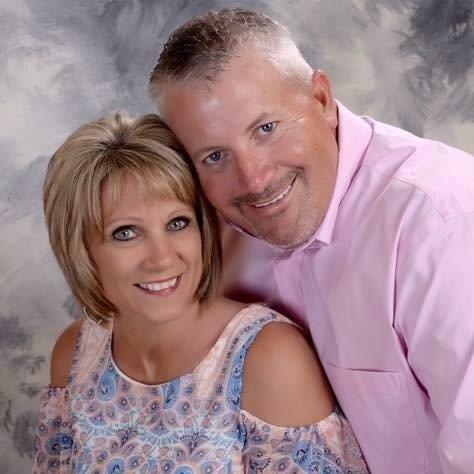 After last Friday, the Mitchell’s have come to realize that the children will be in great hands with the bio family for which they will soon be adjoining even though they will miss the children greatly. Thank you Jeff and Amy! The American Academy of Pediatrics (AAP) has several tips on how to keep your children warm and safe during this cold, snowy, wet time of year. Following the below tips can prevent frostbite and other unsafe conditions. Infants and children should be dressed in thin layers to stay dry and warm. Boots should be chosen in a size big enough to accommodate two pairs of socks. Children and infants also need hats and mittens or gloves. A good rule of thumb for babies and toddlers is to dress them in one more layer than an adult would require. Drawstrings should be removed from clothing in order to prevent them catching on play equipment or trees. The drawstrings can be replaced with Velcro. Babies and children should never wear bulky winter coats in a car. Dress the child in thin, warm layers and add a blanket after the child is securely buckled into an appropriate car seat or safety restraint. The added bulk from a coat or heavy layers can hinder the seat belt or restraint from working properly, which can cause injury if there is an accident. Blankets, quilts, bumpers, pillows, and any other loose bedding should not be in a crib with an infant. Instead, dress the infant in a warm sleeper or “sleep sack” – loose bedding can be a contributing factor to suffocation and Sudden Infant Death Syndrome. Hypothermia is a risk in cold weather – this is where the child’s body temperature goes below normal due to exposure to colder temperatures. Hypothermia can occur faster in a child than an adult. If a child is suspected to have hypothermia, take him or her inside, remove any wet clothing, and wrap in a warm blanket until emergency services arrive. Some signs of hypothermia include clumsiness, confusion, shaking, slurred speech, and a decline in body temperature. Another wintertime concern is frostbite, which occurs when the outer layers of skin become frozen. Ears, noses, fingers, and toes are the most susceptible body parts to become frostbit. Skin becomes red and tingly, then gray and painful, then progresses to white, cold, and hard, but without pain. After the skin thaws, blistering can occur. If the temperature is below -15 degrees Fahrenheit, playing or working outdoors should be avoided. Dressing in layers and staying dry can help prevent frostbite. If frostbite does occur – do not rub the frostbitten skin! Warm the skin slowly in warm water, about 104 degrees. You may also apply warm washcloths to ears, noses, and lips. Ibuprofen or acetaminophen can be given to help with pain. After the skin has begun to warm, cover the child in warm blankets and give a warm drink. Seek medical attention, particularly if blistering occurs. Sunscreen should still be used in the winter – the winter sun can cause sunburn, especially when reflecting off snow. We hope these tips keep you and your children safe and healthy this winter! Name three tips for how to dress a child in cold temperatures. Why should a child not wear a bulky coat in the car? Name two examples of “loose bedding” that should be avoided in a crib. What are two conditions that can be caused by exposure to cold temperatures? What temperature of water should be used to rewarm frostbitten skin? How old must a child be to receive a flu vaccine? True or false: cold weather causes illness. What are three tips for preventing illnesses spread during winter months? During which winter activities should children wear helmets? Why should sunscreen be used during the winter?